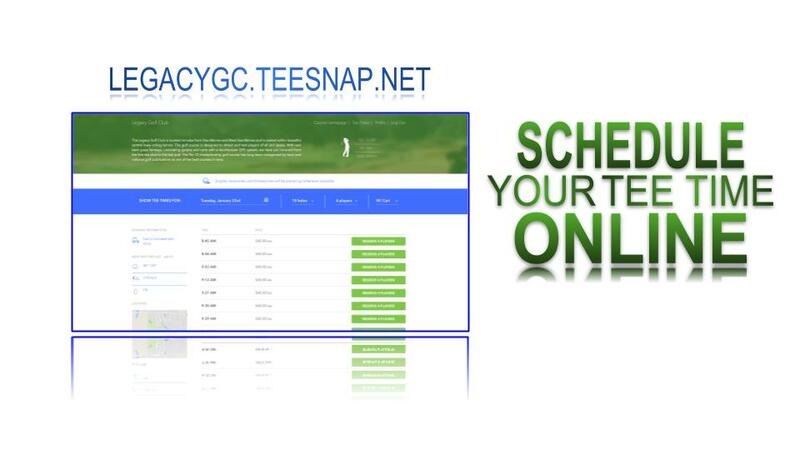 Legacy customers can now reserve tee times online. To reserve online visit https://legacygc.teesnap.net/ When reserving your time please be sure to make it for the actual number of golfers. If your plans or numbers do change please make the adjustment online or call the Pro Shop at 515-287-7885 x2. Titleist Loyalty Rewarded Promotion Need Help With Your Swing?